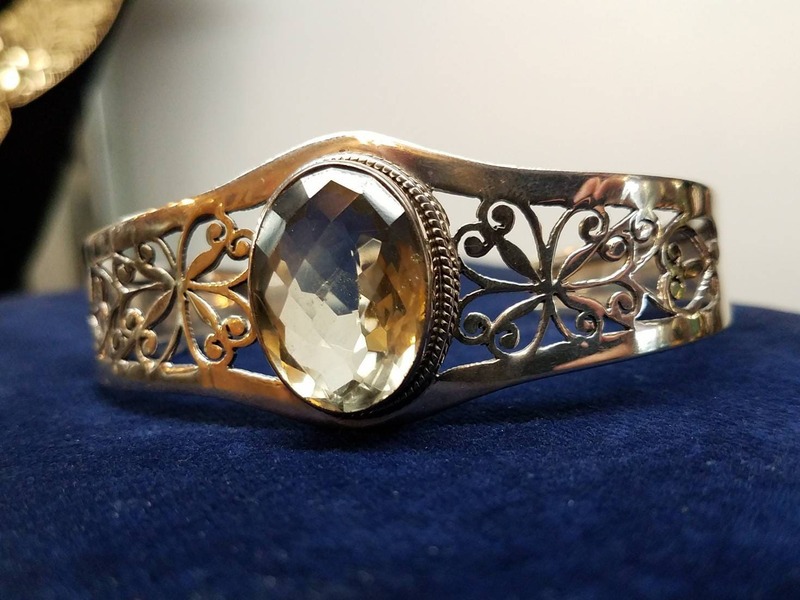 This sterling cuff bracelet features a central citrine stone. 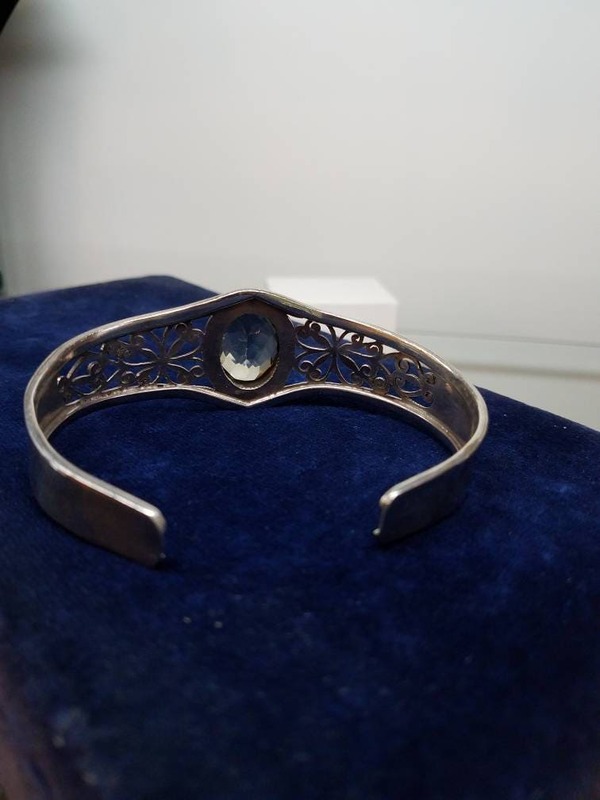 The sterling has floral design work, fading into solid sterling. 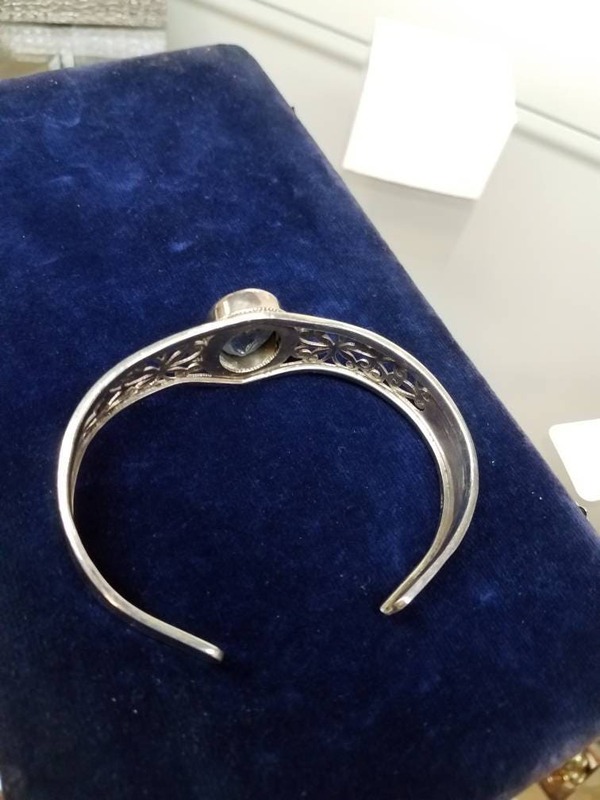 This cuff is for the medium to large wrist, with the ability for some size adjustment. 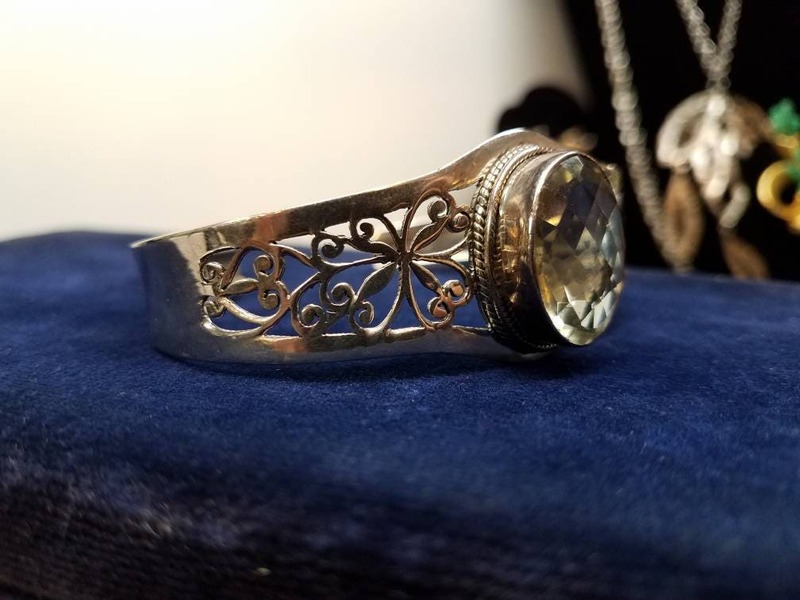 The citrine is ~22mm by ~15mm.